Mistake-Free Golf is the first and only book that directly applies to golfers of all levels on how to specifically correct their mental errors. Unlike any other book that is currently on the golf psychology market, Mistake-Free Golf is unique in that the approach that the author takes is not on emphasizing the positives in the mental game, but identifies the mental mistakes that golfers make on a consistent basis and then teaches the reader step-by-step how to correct these mental issues. By using interviews with over 50 established golf stars such as Nick Price, Michelle Wie, Charles Howell III, Raymond Floyd, Greg Norman, Suzanne Petersen, and 2013 U.S. Open champion, Justin Rose, and coupled with rising tour and amateur players, Dr. Winters helps golfers understand that players of all levels make the same mental mistakes and helps them to learn from these mental infractions and turn their shortcomings into new-found confidence. 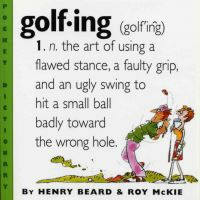 Easy to read with entertaining stories, anecdotes, and specific intervention strategies designed to make an immediate impact on the reader, Mistake-Free Golf can be read cover-to-cover or can be read by going to the chapter that is specifically handicapping the frustrated golfer. 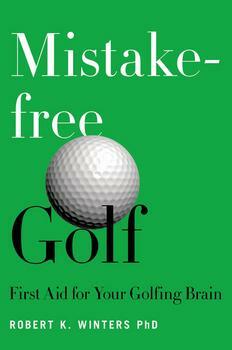 Mistake-Free Golf can be used as a reference book for the mentally frustrated golfer. Many players will use this book as an emergency read, and it has even been called: First Aid for the Golfing Brain! World-renowned sports psychologist Bob Winters helps golfers of all levels play mental-error free golf.